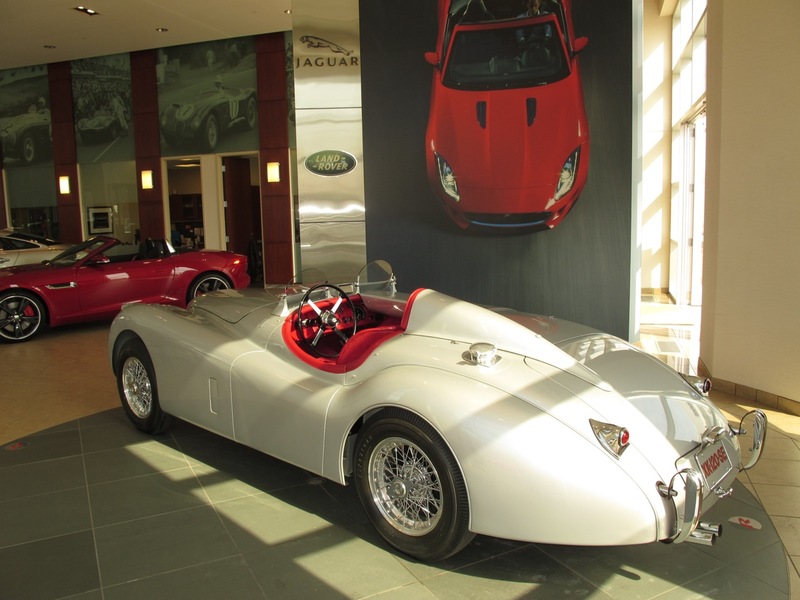 Some men in middle age are lucky enough to return to the passion of their youth. 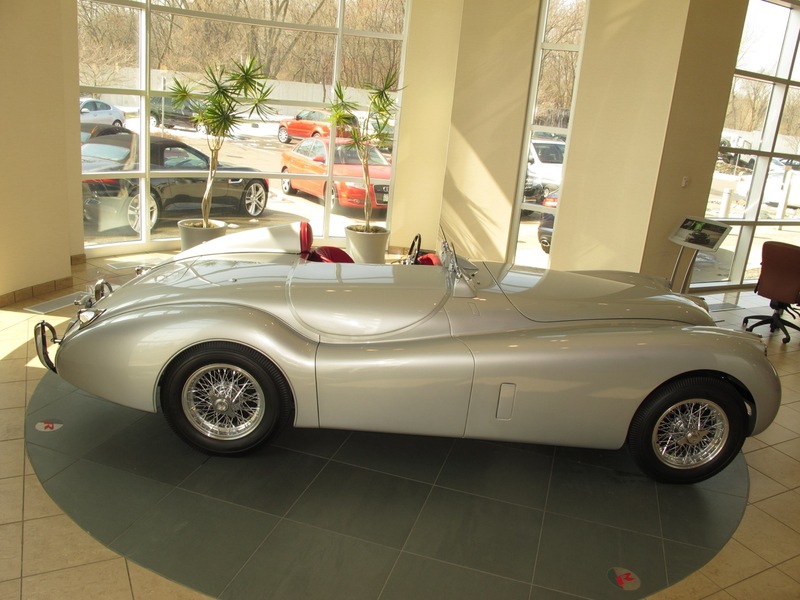 Lee Troxel who once owned the 850 Monza in which Fred Astaire ended his life in the movie On the Beach is definitely one of the lucky ones. 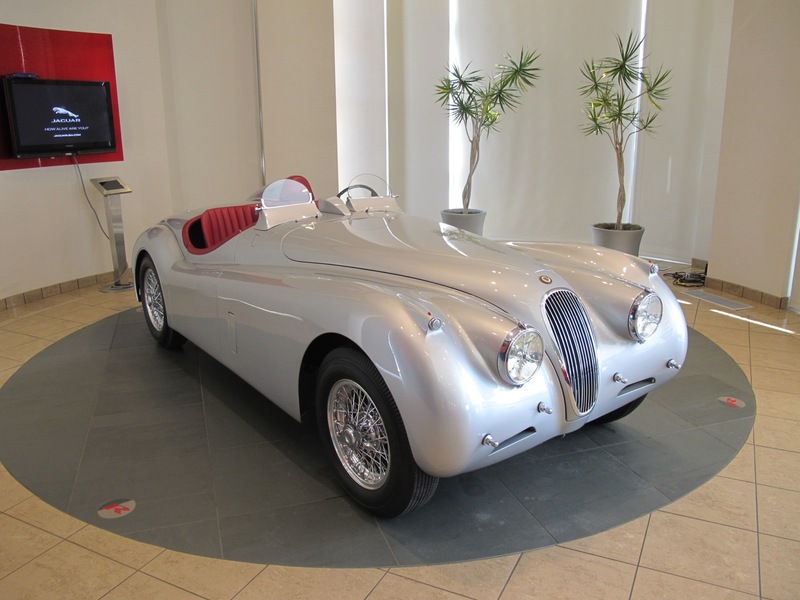 “I reverted to childhood four years ago,” says Lee, who spent the past year restoring the 1952 Special Equipment JaguarXK 120 featured here. 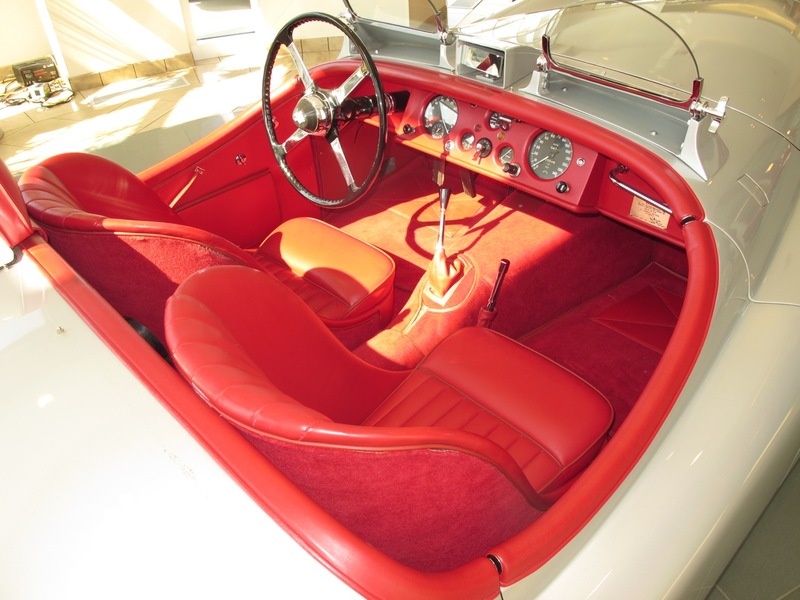 Yet another post-war Hot rod generation California car freak, Lee spent his teens and early twenties working on his various cars in LA including the only 427 Cobra coupe ever built. 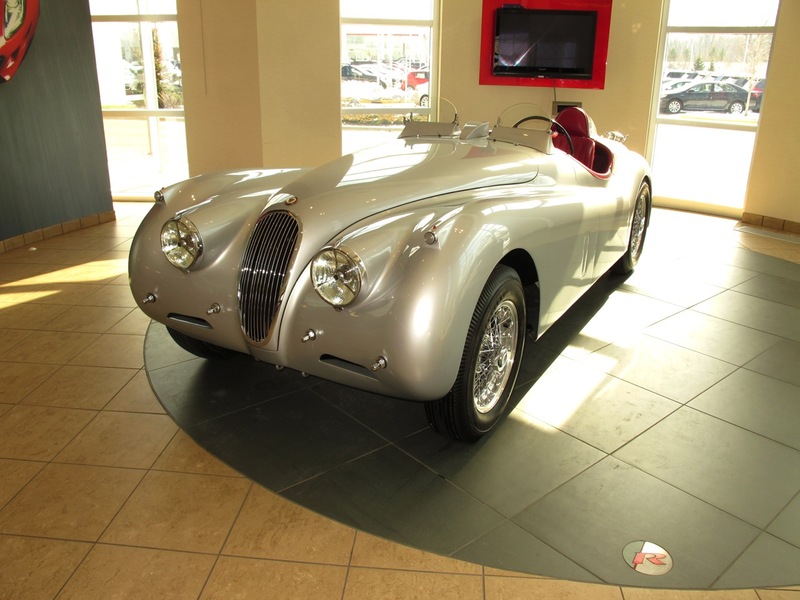 He worked on his first Jaguar, an XK 140, in high school. 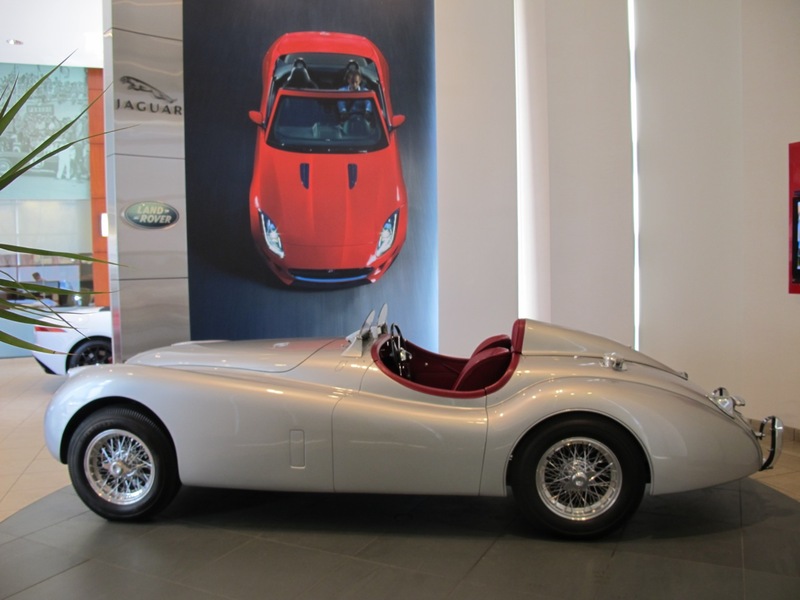 Later, mechanical engineer Lee spent 20 years as a builder and developer in Northern California, his car collection down to just one vintage Ferrari GTB-4, if Trowel’s apartments are built anything like the care put into this XK 120 SE restoration, they’ll probably be around as houseboats even if some future earthquake should fulfill those old predications and drop the whole state into the Pacific. 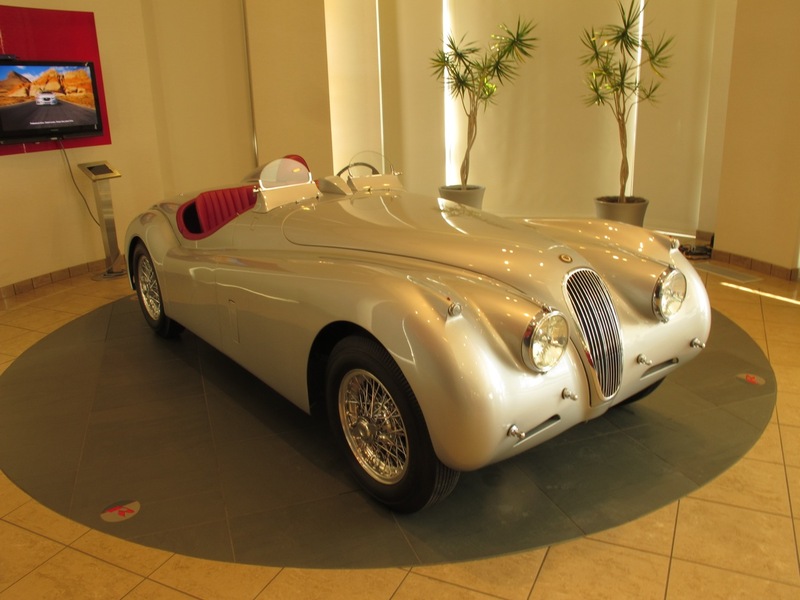 The oldest of the XK 120 line is now 42 years old, so you have to have a few years under your belt to remember exactly how much the car impacted the automotive world at introduction in 1948- particularly after the lean war years. 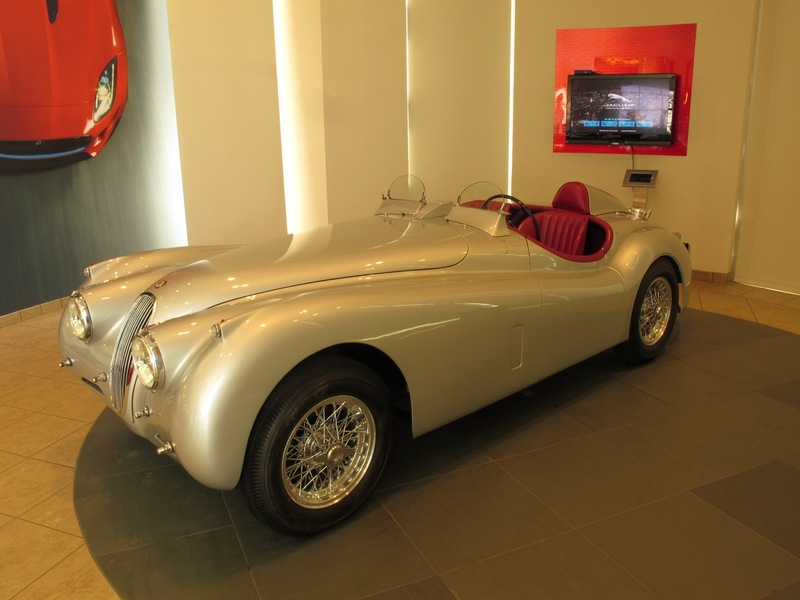 It was simply the fastest production car in the world- and some had a plaque on the dash certifying that it would do 120 mph(hence the name). It was stunningly beautiful and it was a bargin. 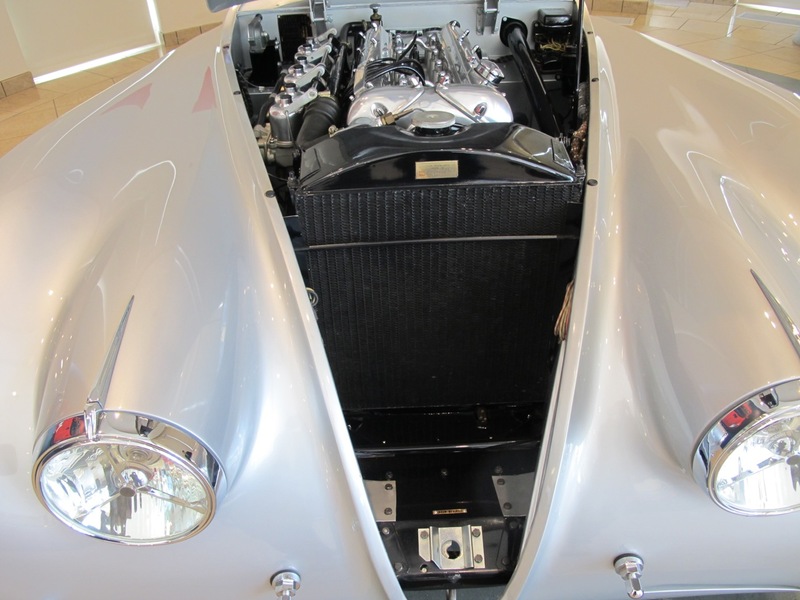 Thirty years would pass before many engines would have the twin overhead cams and hemispherical combustion chambers of the XK engine. 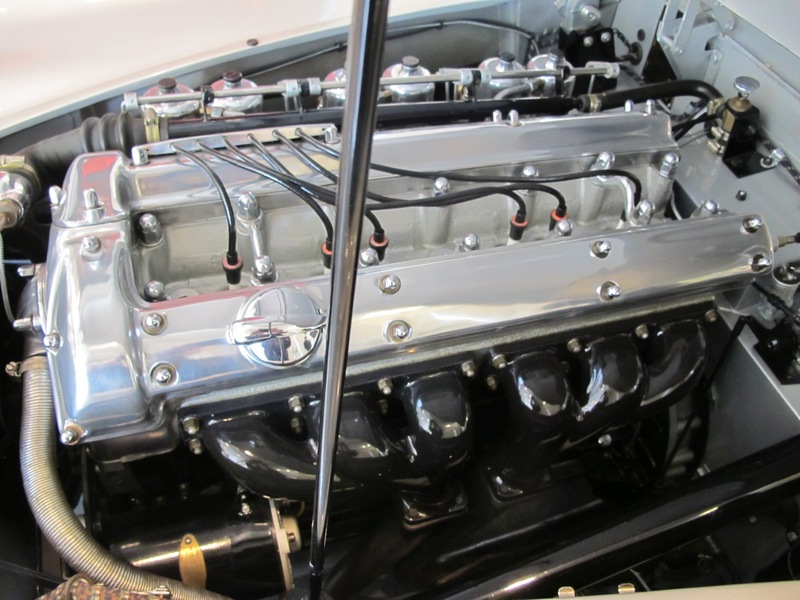 Essentially the same engine, with electronic fuel injection, would still be powering new Jaguars over 30 years later and doing a fine job of it (Jaguar finally brought out the replacement AJ 3.6-litre power unit in 1986).Actually, the Weslake-head XK engine was first developed to power the Mark VII sedan but Jaguars founder (Sir) William Lyons was so excited about the engines potential that he set about building a two-seater for it, figuring that the few sophisticated buyers of such a machine would provide valuable testing and feedback on the new engine. 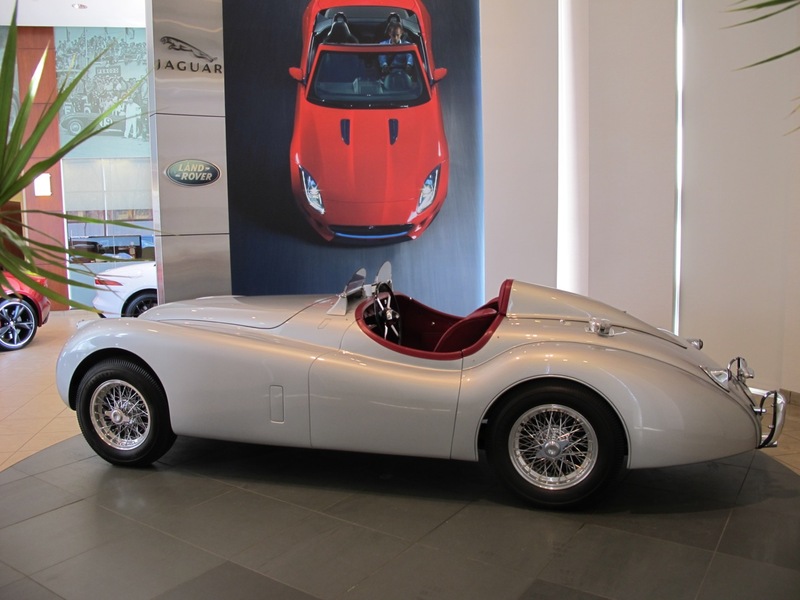 Those of us too young to remember need to know that it was the XK 120 Jaguar – along with the MG TC at the lower end – which brought sports car motoring to the United States after the war. 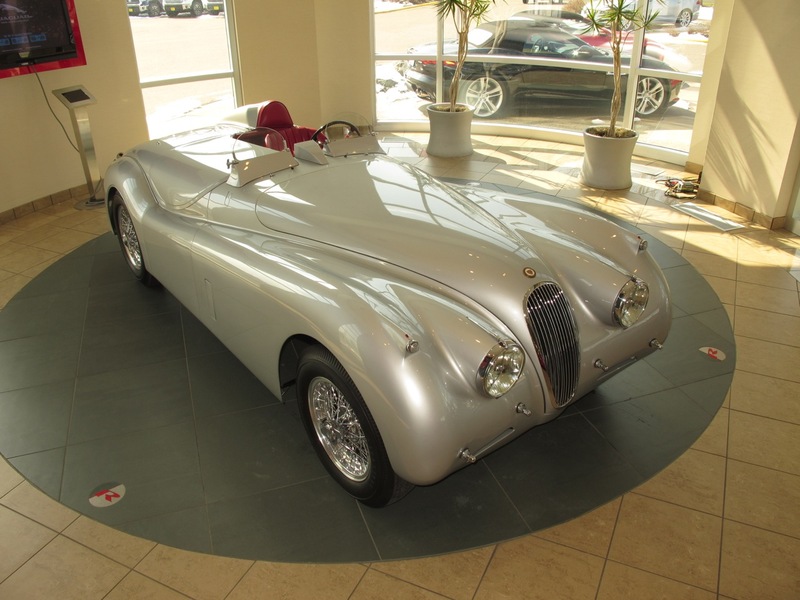 This particular XK, a Special Equipment model sometimes known colloquially in the US as the XK 120M, was built in 1952. 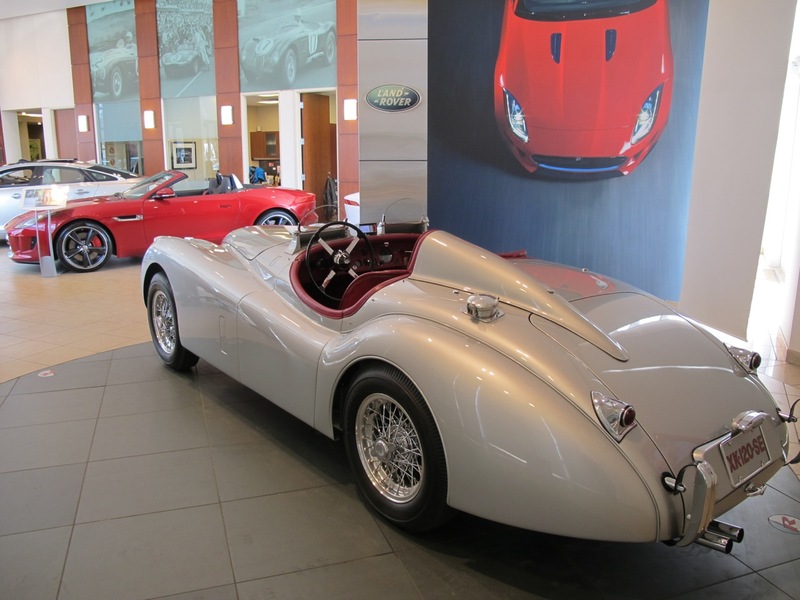 The speed plaque on the XK 120 SE certified 132mph-from a naturally-aspirated 3.4 engine in a 3,100lb car. 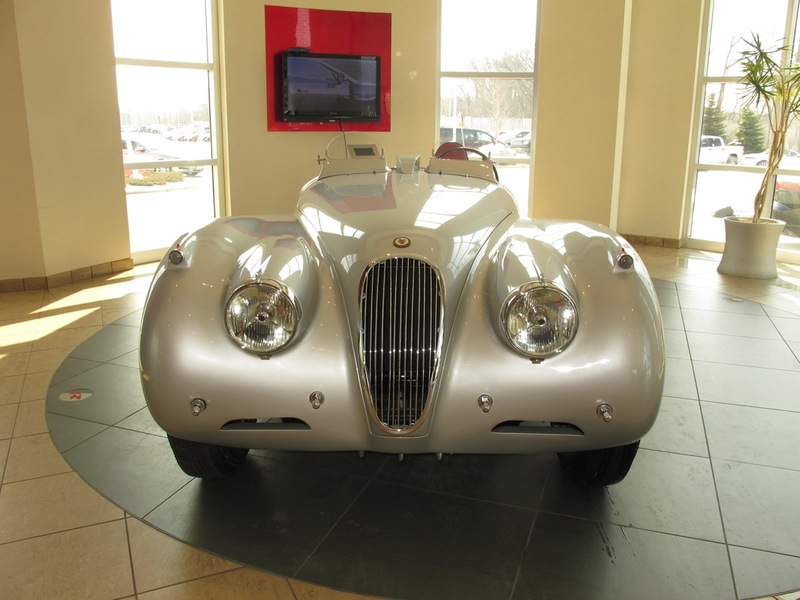 Several decades later, it would still be faster than most production cars. 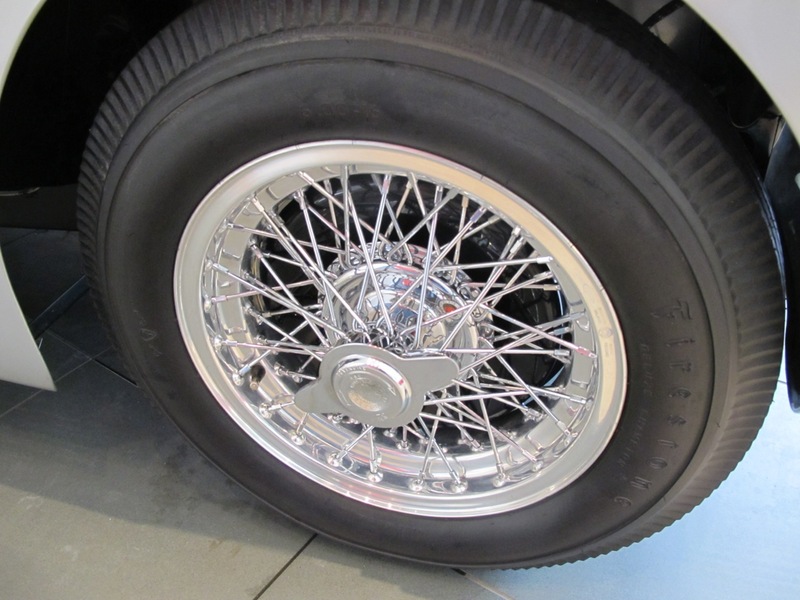 Modifications from the standard model included stiffer front torsion bars, larger inlet valves, higher lift camshafts, dual exhaust and wire wheels. 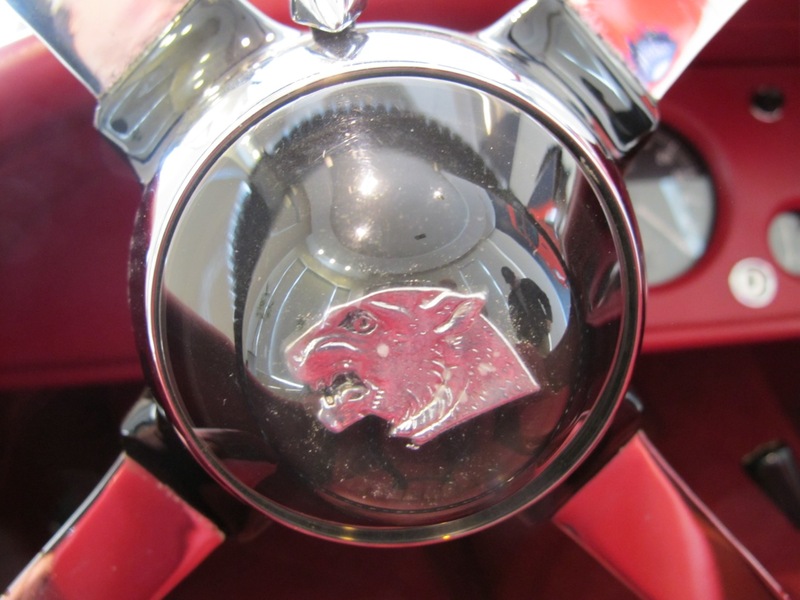 This particular car also includes certain vintage modifications which were legitimate for early fifties completion- ¾ race cam and 9-1 compression pistons (standard was 8-1, and you could order 7-1 or 9-1 from the factory), lightened flywheel, high-rev crankshaft damper, special carbs, metal tonneau cover and an unusual but period head rest/fairing, something like the well-known headrest of the “D” type Jaguar. 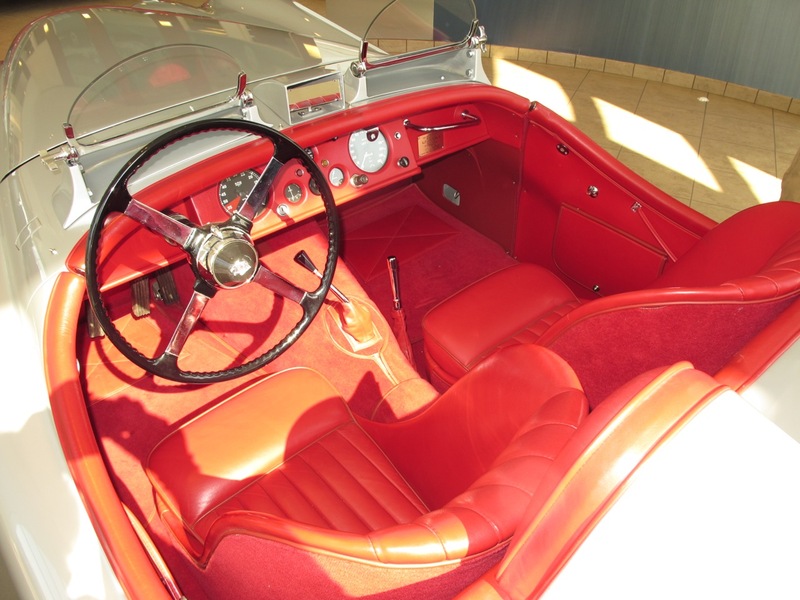 Troxel’s restoration of the car began, in a sense, two years before he ever saw it. 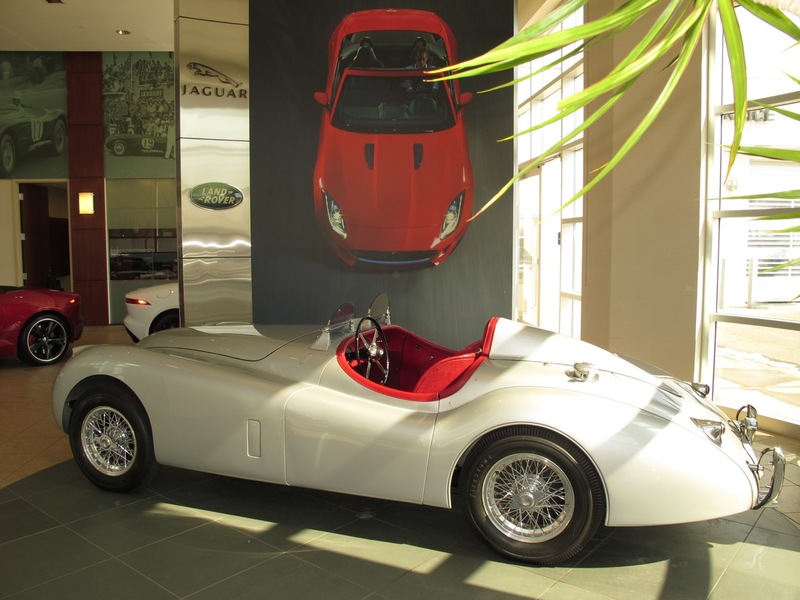 Ever since his semi-retirement from the development business, Troxel had been moving through Jaguar collector/restorer circles in the western United States, building up a small collection of interesting Jaguars and nursing them along towards restoration. 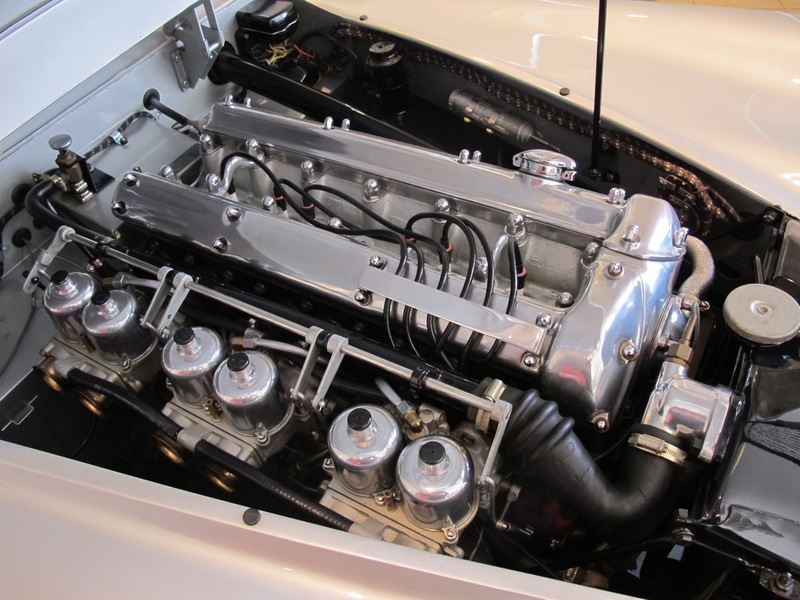 In the course of this, he found an incredibly rare set of dual-throat SU carbs and manifold manufactured in the 50s and appearing only on a few race cars such as some of the Lemans Triumphs and the Hughes kircher Jaguar Special XK 120 engine and chassis with new race body. 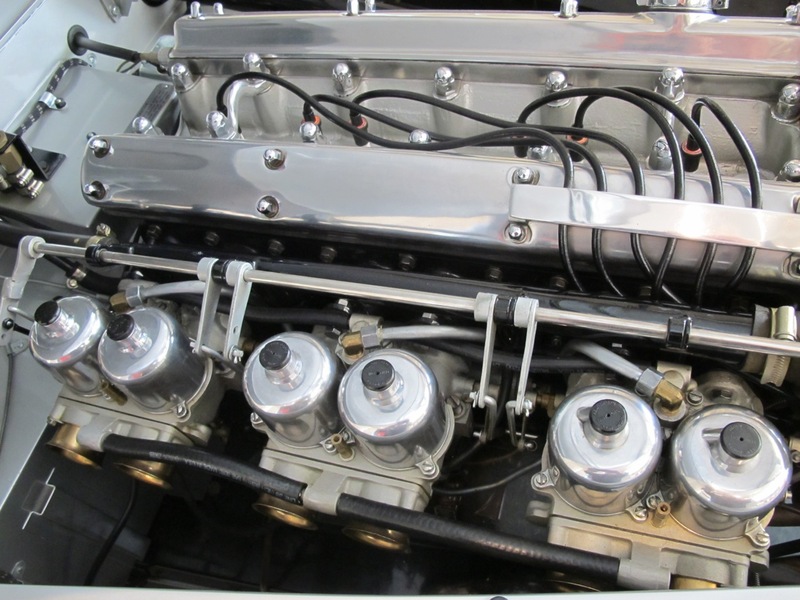 These dual-throat carb set-ups are essentially three pairs of constant velocity SU carbs, each pair sharing a common float chamber. 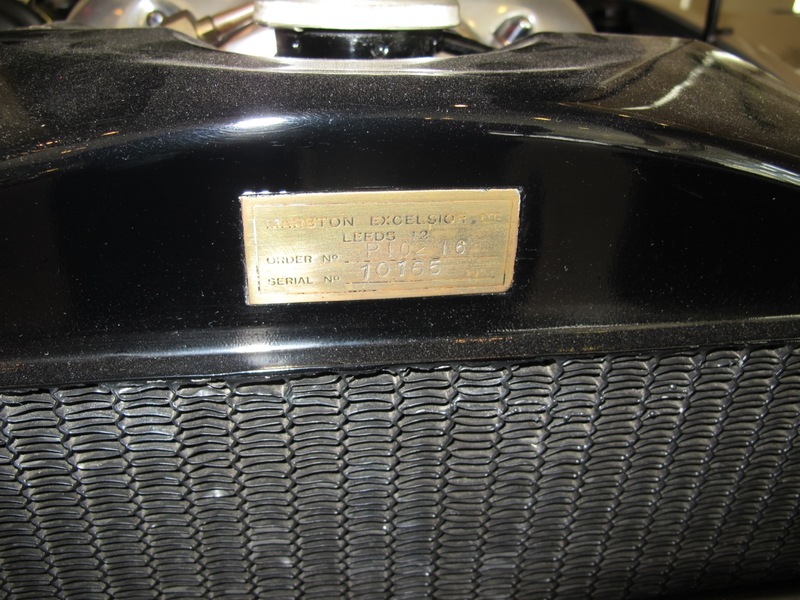 According to Troxel, they were never produced in volume because the sidedraught Weber was superior in competition. 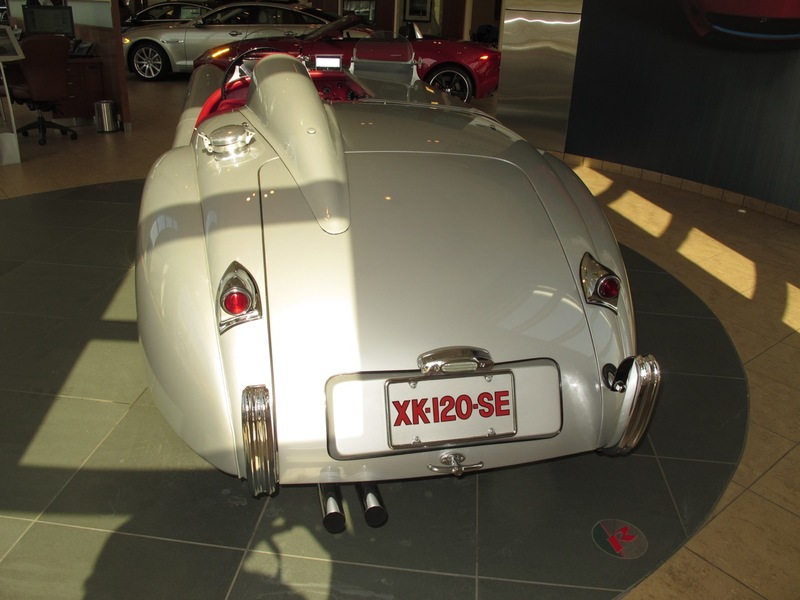 Troxel purchased the carbs and began searching for a competition XK 120 as a home for them. 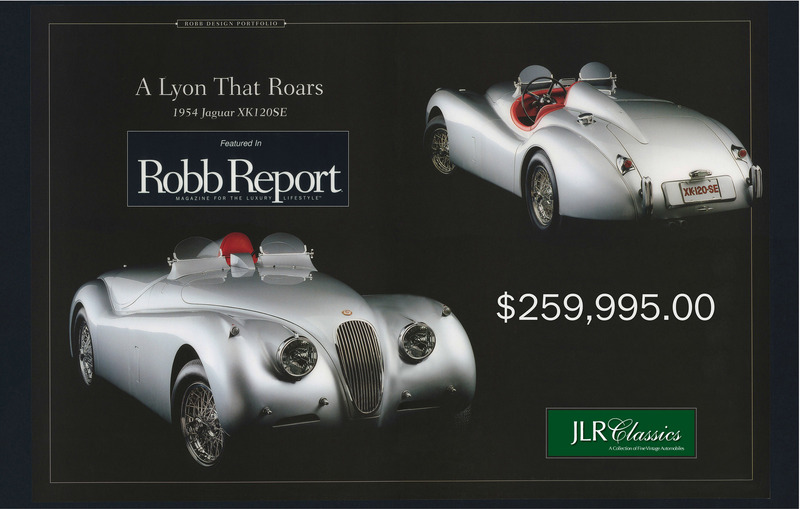 This happened during the final years of the 80s when Jaguar prices were going crazy, before the price increases says Lee you could geta 99 point XK 120 for $25 K-$28K. Prices shot way up at the peak some sold in the $130K range. 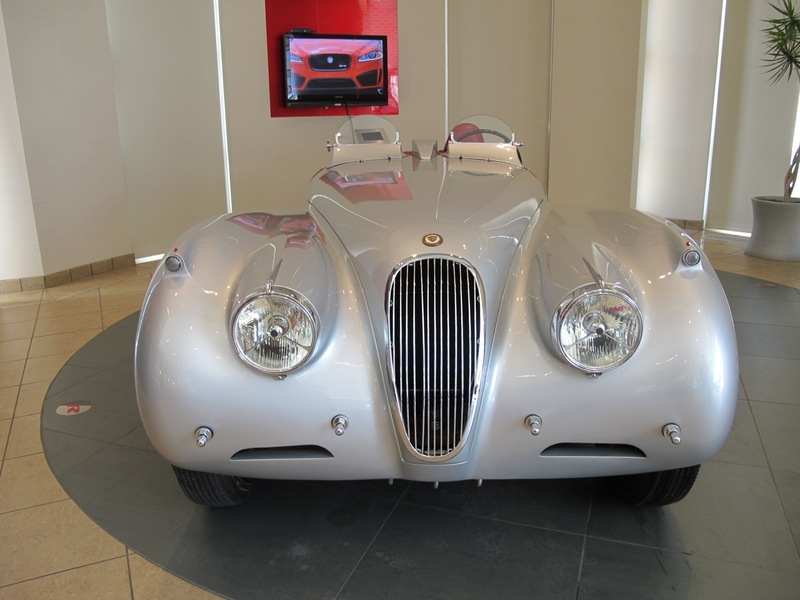 Troxel says he benefited from the price increases on his existing collection but eventually had to settle for buying an XK 120 competition car he discovered at a San Jose, CA junkyard. Unknown persons had discovered the car sometime before, mouldering in the southern Calif desert somewhere west of Blythe with no title and no known history. 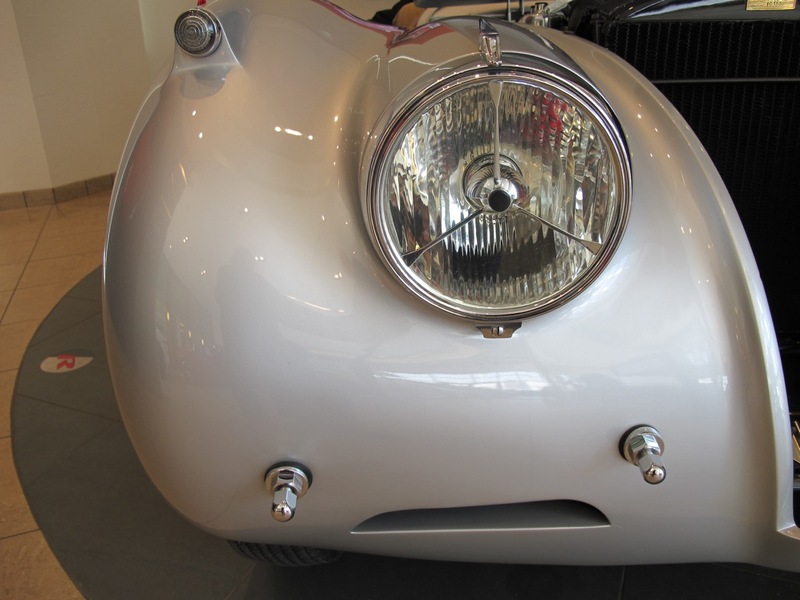 He aspired to restore the vehicle exactly as it had left the factory- then add the modifications. 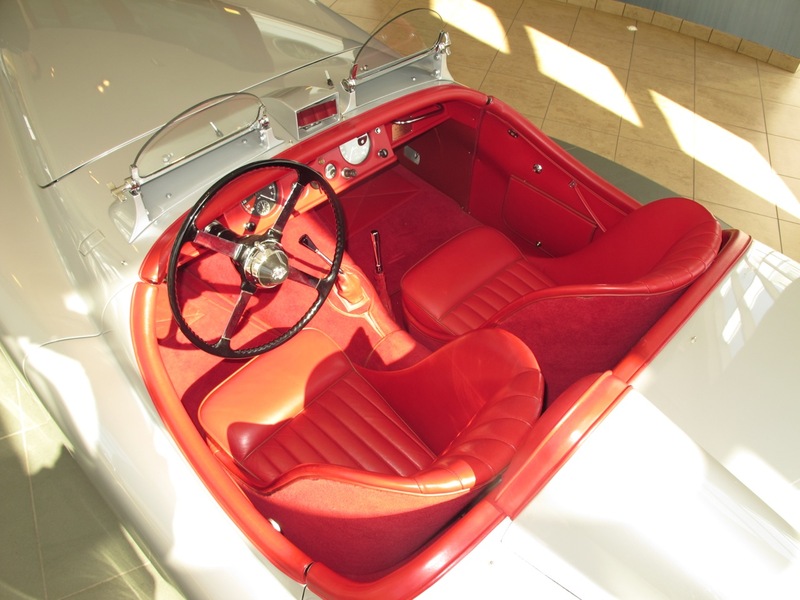 Troxel decided every square inch of the under-body; frame and suspension had to gleam with the most prominent external body panel. Then metalworking wizard Tom Boutis of Superior Metalcraft went to work with his huge English wheeling machine, bending aluminum to re-skin the doors and hood. He also got the hood to fit perfectly. 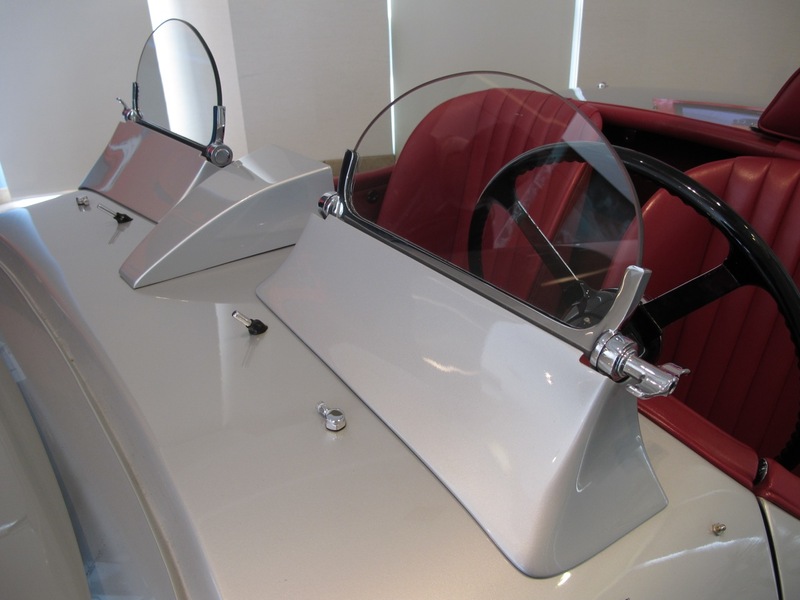 Later he built the metal tonneau cover and headrest to the old specs. 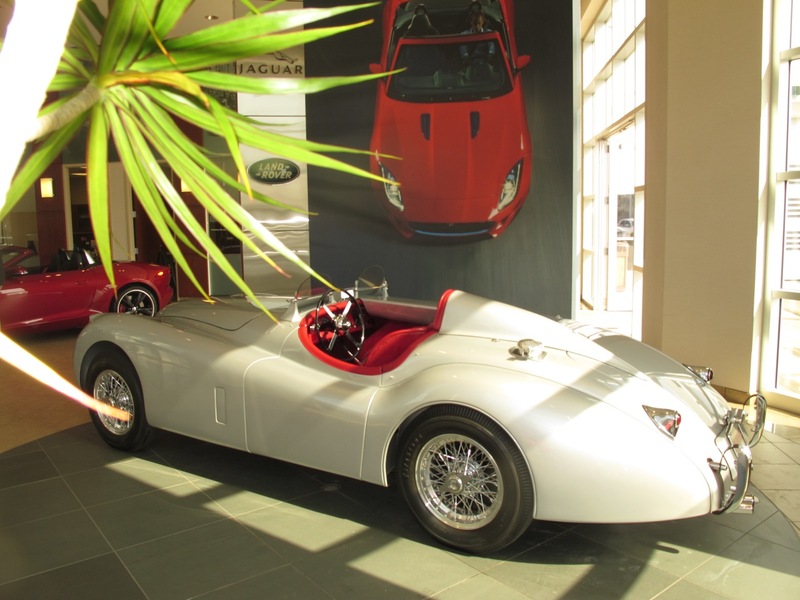 In the meantime, he sent the blasted body and chassis to Lees Vintage Vehicles for preliminary bodywork on the main surfaces. 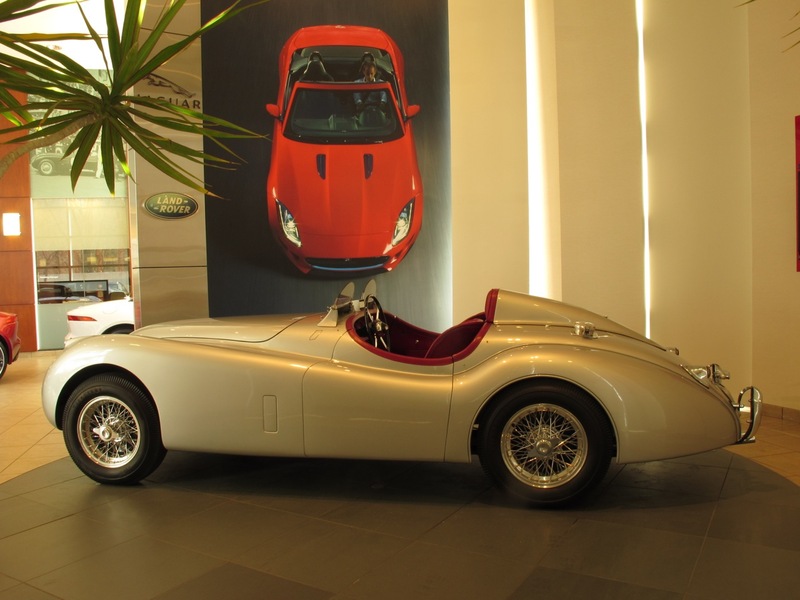 After that he separated the body from the frame, put both on radiators and sent them back to Lee Norine for perfect bodywork in every inch, hidden or not. 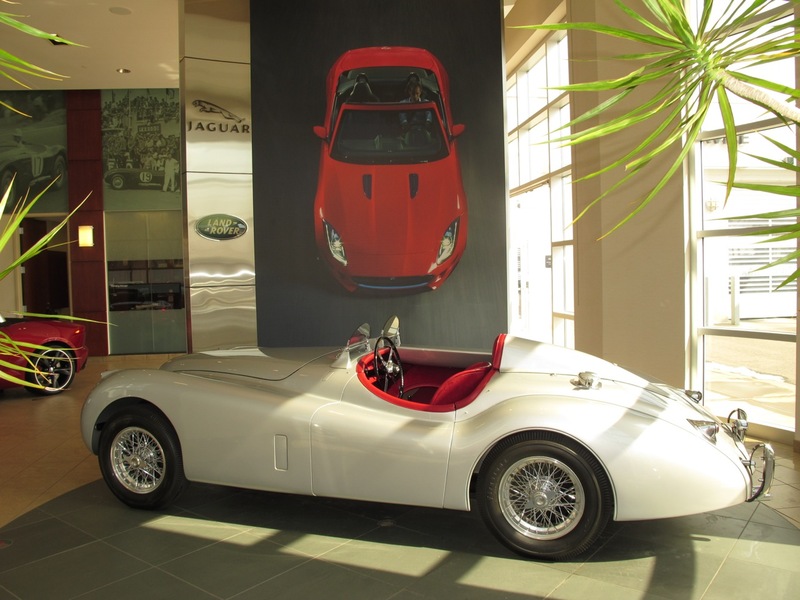 Troxel admits certain areas of the Jag over-restored-but only where it doesn’t count to concours judges. We went to work on every part with grinders, including the suspension components, working on them till they were flawless. 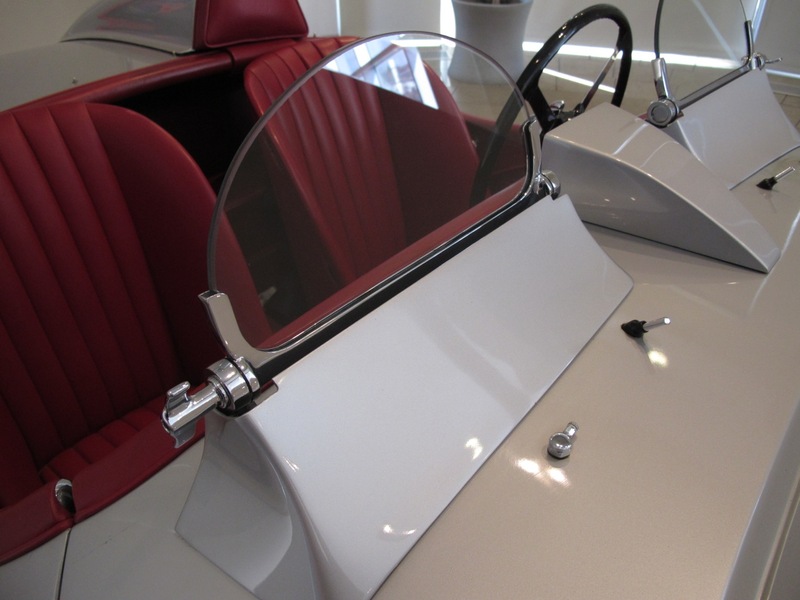 I painted all those parts in my own small paint booth with black Deltron Acrylic Urethane–$60 a qt—and later buffed everything. I kept remembering how good Williams’s car looked, trying to think what I could do to make improvements. 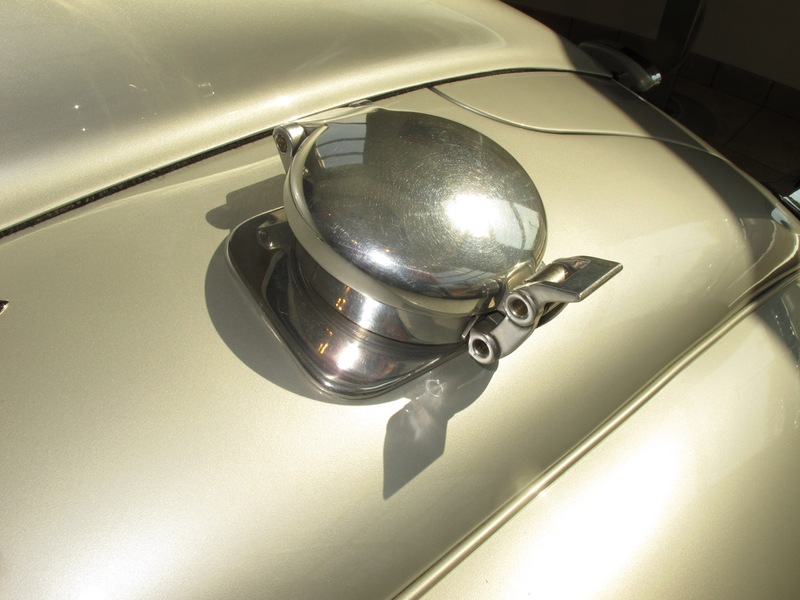 Dale at Sacramento A-1 Plating polished or plated every bright metal surface to a mirror finish. In the end, even the nuts and bolts got special treatment-gun bluing, heat treatment, or sometimes black oxide with clear satin on top. Replacement bolts, of a type no longer being made, came from Beas Bolts. 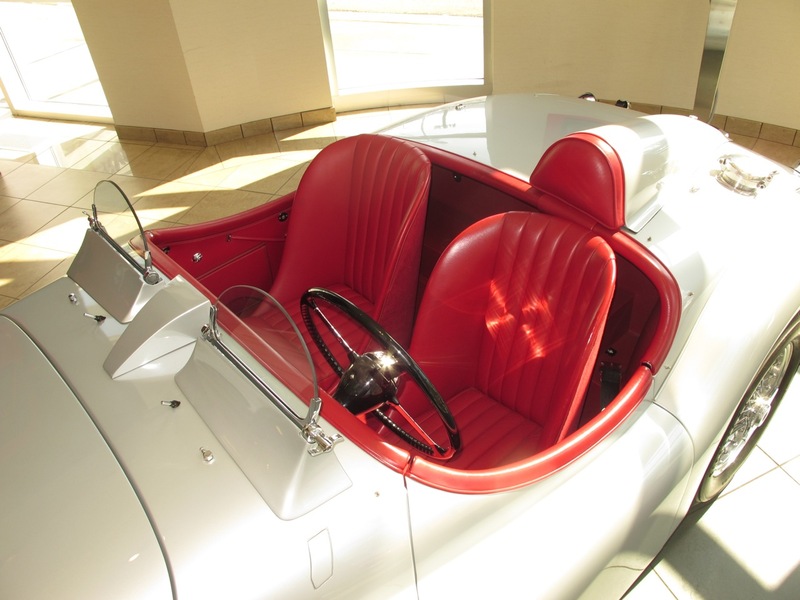 The exact colour of the car was slightly unexpected shade of silver says Troxel, adding that after the initial shock, everyone decided they liked it. Troxel says he’d like to do it all again. Maybe one car a year, perhaps even someone else’s car he says with a grin-and you can see the passion in his clear blue eyes.